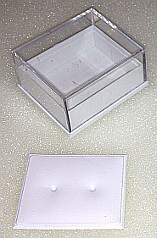 CLEAR TOP PLASTIC BOXES FOR EARRINGS etc. approx size 40mm x 35mm x 20mm height with EARRING PADS or Sponge type insert available. (Insert Pad Printing available if required). 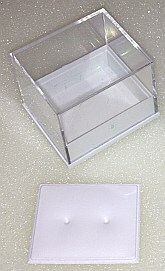 Clear Top plastic Jewellery Earring / Ear Stud Boxes with Extra High Dome Top (32mm height). 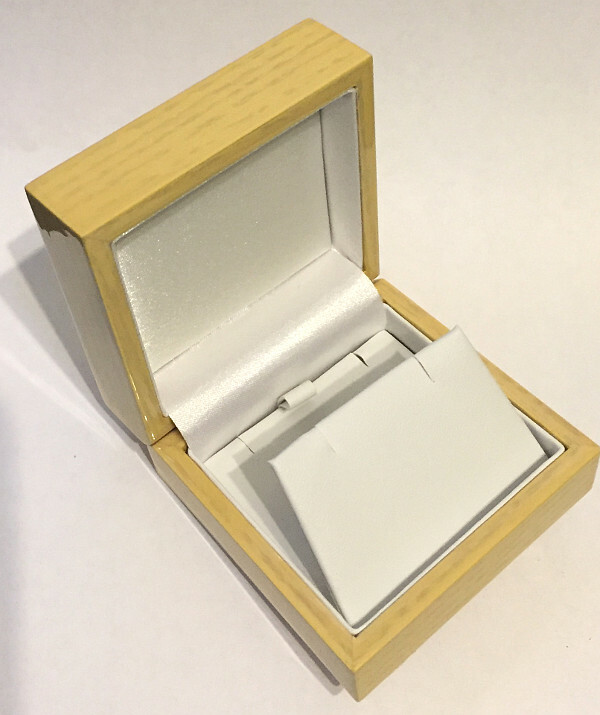 Earring Stud Jewellery Pad inserts with or without Printing or Black Sponge Ring inserts available. (Pad Printing or Plain Pad options available). BULK QUANTITY of 2000 x Clear Top Boxes for Earring Studs etc. @ 11p EACH BOX. Approx size 40mm x 35mm x 20mm height WITH Ear Stud PAD INSERT if required or 8mm Deep Black Sponge insert with middle slot. BULK QUANTITY of 2000 x HIGH Clear Top Boxes for Earring Studs etc. @ 15p EACH BOX. Approx size 40mm x 35mm x 32mm high dome height. 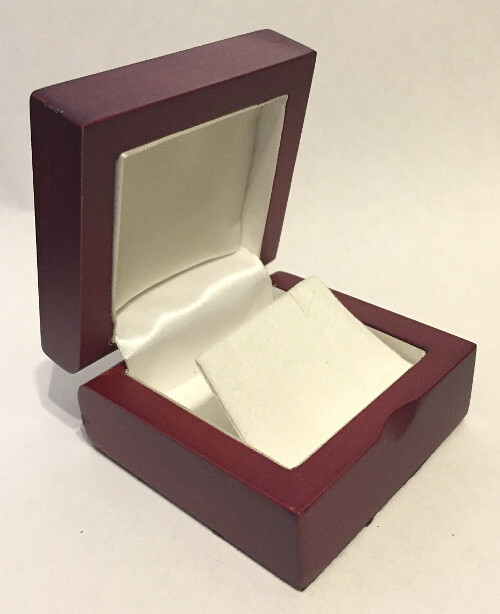 Supplied as Box Only or with Ear Stud PAD INSERT if required or 8mm Deep Black Sponge insert with middle slot to hold a Ring or similar items. 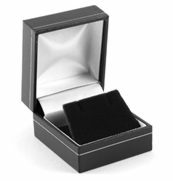 Ear Studs Gift Box Leatherette finish Black colour approx. 50mm x 45mm x 30mm with earring/studs pad insert. 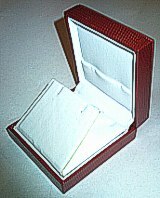 Metal Silver finish Earrings or Ear Studs Gift Display Boxes with Earring or Studs display insert. 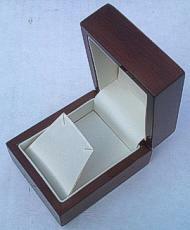 Real Wood Ear Stud or Earring Display Gift Box.